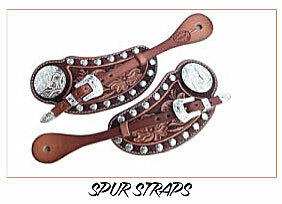 Custom made leather spur straps with brands or initials, flower carved or hand tooled, with sterling silver buckles and concho, or plain styles with brass or nickle buckles. 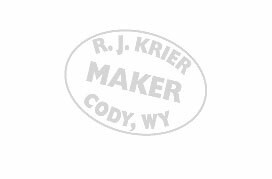 CUSTOM LEATHER GUNBELTS, HOLSTERS, AND RIFLE SCABBARDS made to fit your firearm in plain leather, flower carved, or hand tooled styles. 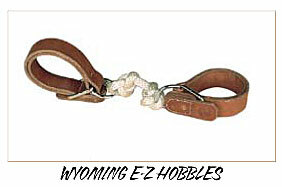 WYOMING E-Z HOBBLES have become very popular with outfitters and back country horsemen. 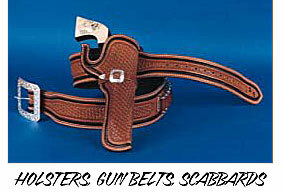 These feature a handy leather notch rather than cumbersome buckles which are hard to undo when wet or cold. Easy to carry, sturdy, and guaranteed to last.